PUNE: The Pune Municipal Corporation (PMC) has decided to constitute a dedicated wing to handle matters pertaining to road expansion. The cell will deal with issues related to compensation, ownership of land and other matters. PMC has not been getting roadside private lands and properties because of lack of funds. Poor coordination between property owners and civic officials, too, has delayed widening of thoroughfares. The new wing aims to be a one-stop solution for these problems. The civic body decided to form a committee recently at a meeting held recently to expedite road expansion projects. "Completion of the acquisition process, acquiring of land, management of properties and coordination with the legal department will be some of the key responsibilities of the cell," stated the charter of the committee. According to PMC's data, the civic body had made provisions in the municipal budget for development of roads, especially for expansion work. Over Rs 70 crore had been kept aside for these works. Thoroughfares such as Ganeshkhind, Pune-Mumbai Road, Shivane to Kharadi Road and Balbharati to Paud Phata will be developed using this fund. "The committee will help in speeding up long-pending projects. These roads are important for better traffic management. It will help in reducing snarls across the city," said Mukta Tilak, mayor of Pune. The resolution for Paud Phata to Balbharati link Road was passed on February 27, 1996. It was proposed to reduce traffic load on Paud Road and Law College Road. But NGOs and local organisations have opposed the project, stating that it would cause environmental damage to the lush green man-made forest developed through social forestry initiatives such as 'Green Pune Project' implemented between 1994 and 1996. Bombay High Court in 2016 had set aside the resolution of the PMC's general body. Another key road the committee is expected to expedite is the 17km-road from Shivne to Kharadi. It is scheduled to be open for commuters by mid-2018. 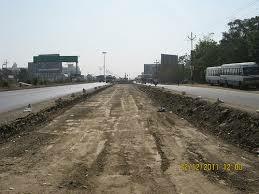 The road has two sections — a 7-km stretch from Shivne to Mhatre bridge and 10-km stretch from Sangam bridge to Kharadi. The existing riverside road will connect both the roads.